Months after it removed hundreds of fake pages and accounts run by a Kremlin-linked troll group that were targeted at Americans, Facebook said on Tuesday it had removed almost 300 more pages and accounts run by the group, the vast majority targeted at Russian speakers. Last summer, the company removed hundreds of pages and accounts run by the Internet Research Agency (IRA) that were designed to look like they were run by real American activists. In February, Special Counsel Robert Mueller's office indicted 13 Russian nationals who allegedly had links to the IRA. Facebook said that on Tuesday morning it removed 138 Facebook pages, 70 Facebook profiles, and 65 Instagram accounts it determined were linked to the IRA. 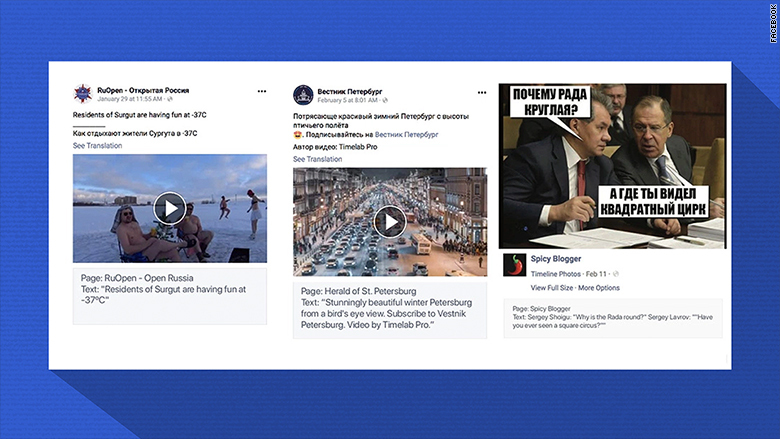 The pages, which were followed by more than one million users, were mainly aimed at Russian speakers around the world, Facebook said, including in Russia itself and neighboring countries Azerbaijan, Uzbekistan and Ukraine. The Facebook pages were followed by more than one million users and the group spent $167,000 running ads across the Facebook and Instagram accounts in question since January 1, 2015, Facebook Chief Security Officer Alex Stamos wrote in a blog post announcing the discovery and removal of the pages on Tuesday. Facebook CEO Mark Zuckerberg said in a post on his Facebook page that the removal of the pages and accounts was "an important step to protect the integrity of elections around the world." "Security isn't a problem you ever fully solve. 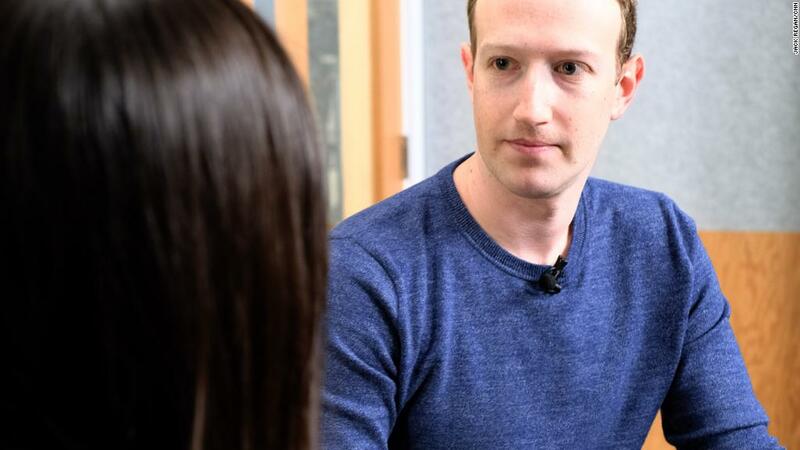 Organizations like the IRA are sophisticated adversaries who are constantly evolving, but we'll keep improving our techniques to stay ahead -- especially when it comes to protecting the integrity of elections," Zuckerberg said. Stamos added in his blog post, "We removed this latest set of Pages and accounts solely because they were controlled by the IRA — not based on the content. This included commentary on domestic and international political issues, the promotion of Russian culture and tourism as well as debate on more everyday issues." Sen. Mark Warner, the top Democrat on the Senate Intelligence Committee, which has been investigating Russian meddling in the 2016 U.S. election, said that "it was always clear" that the Internet Research Agency's campaign extended beyond the pages Facebook removed last year. "I am glad that Facebook is taking some steps to pinpoint and address this activity, but I also expect Facebook and Mr. Zuckerberg, along with other platform companies, to continue to identify Russian troll activity and to work with Congress on updating our laws to better protect our democracy in the future," he said in a statement.